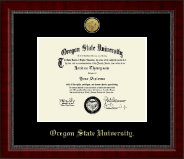 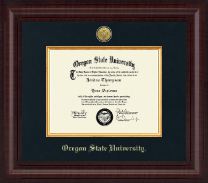 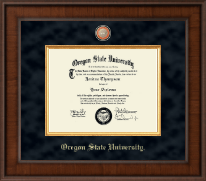 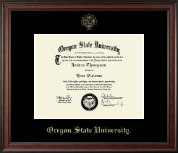 Choose one of our favorite Oregon State University diploma frames, then customize and make it your own! 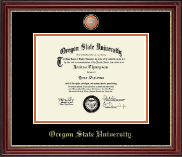 It all started the day you took the New Student Walk to Gill Coliseum, following the same course you’d take years later when you received your diploma from OSU. 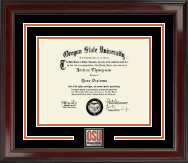 You became a proud member of the Beaver Nation! 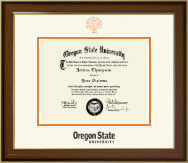 Hanging at the Dixon Rec Center, Benny Beaver leading the Homecoming pep rally, hiking to the Irish Bend Covered Bridge, and standing up for the entire Civil War game—memories you’ll want to capture with an official OSU graduation photo frame or orange and black diploma frame! 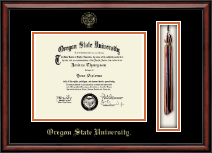 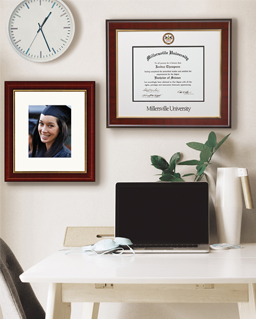 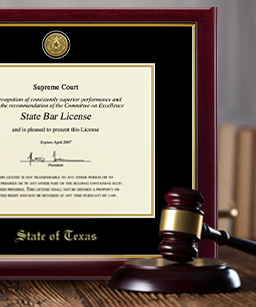 Whether you’re looking for a diploma display featuring a photograph of Memorial Union, a diploma frame with tassel holder, or even a modern diploma frame with state-of-the-art dimensional color, we have an OSU diploma frame to suit your unique style. 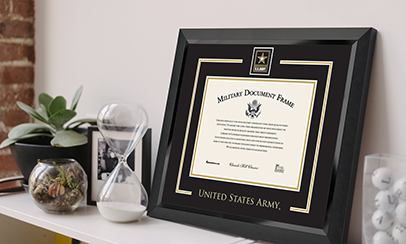 Simply select one of our signature styles, or create your own using our online custom framing options. 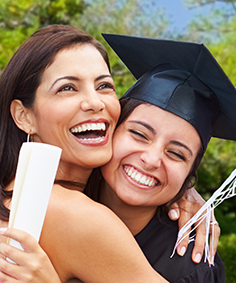 And we know you’ll love your purchase; in fact, we guarantee it! 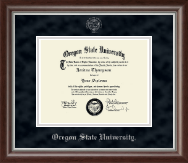 Want to surprise a picky Beaver? 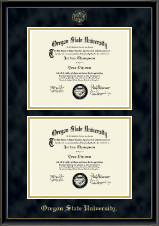 Send them an eGift Card!